The cupboard as it was late last summer – filled and ready for the winter season! It’s getting to be that time of year – CANNING! When we built the canning pantry cupboard last year – I don’t think we realized how much we would use all of the goods stored from the garden. 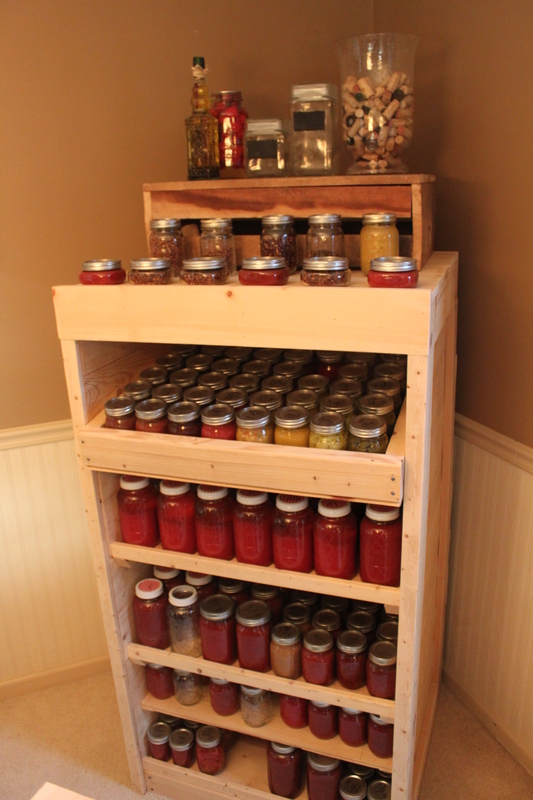 The cupboard, built from some old shipping crates and pallets we had holds close to 250 quarts and pints of product. 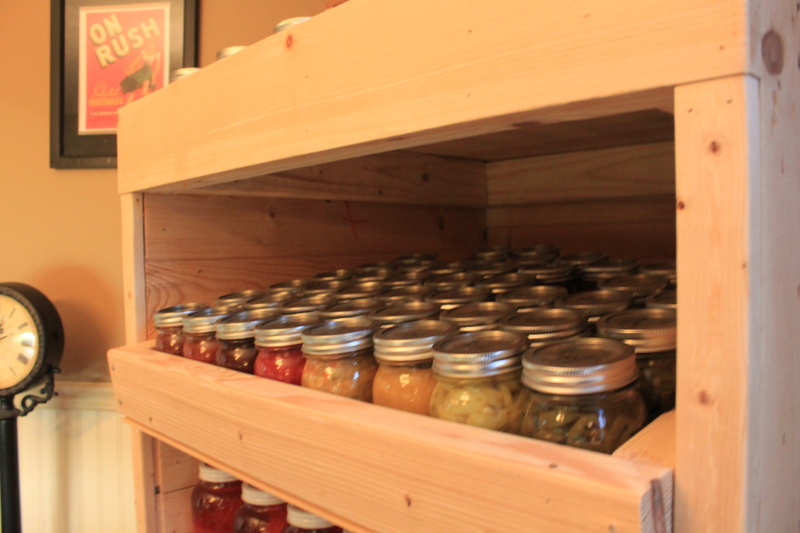 It seemed like so much at the time – but that full pantry from last fall has a lot of empty shelves on it now! So before we begin the new season of storing up some food – we spent some time and went through last year’s inventory to get ready for this season’s canning efforts. It’s a pretty quick study as to what we need to make more of : Hot Pepper Mustard, Pasta Sauce, Picante Sauce and Apple Butter! 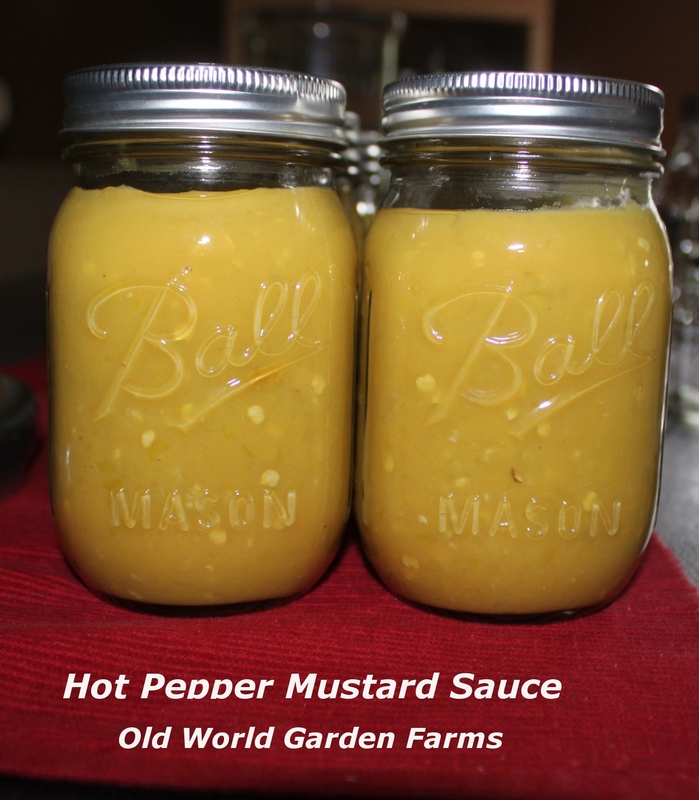 Mary’s Hot Pepper Mustard Sauce – A family favorite! Hot Pepper Mustard : By far the most popular !!! It’s Mary’s secret recipe and I think everyone that comes over takes home a jar. Mary already had orders for them and already pre-sold every one she made from her first batch this week. The boys love it as a dip with pretzels, and it great to use on brats and hamburgers or any sandwich for that matter! I used it last year to make tuna fish salad and replaced the mayonnaise portion with the mustard and it was a great combination. Pasta Sauce : Another big hit. We used close to 35 to 40 quarts last year – with about 5 remaining. It’s a great way to make quick dinners a thousand different ways! Apple Butter – We “found” two jars stashed behind some sauce…I vaguely remember hiding them among other jars to keep for myself 🙂 – and then like a challenged squirrel – forgetting that I hid them in the first place! It’s so good on toast – definitely going to make more! 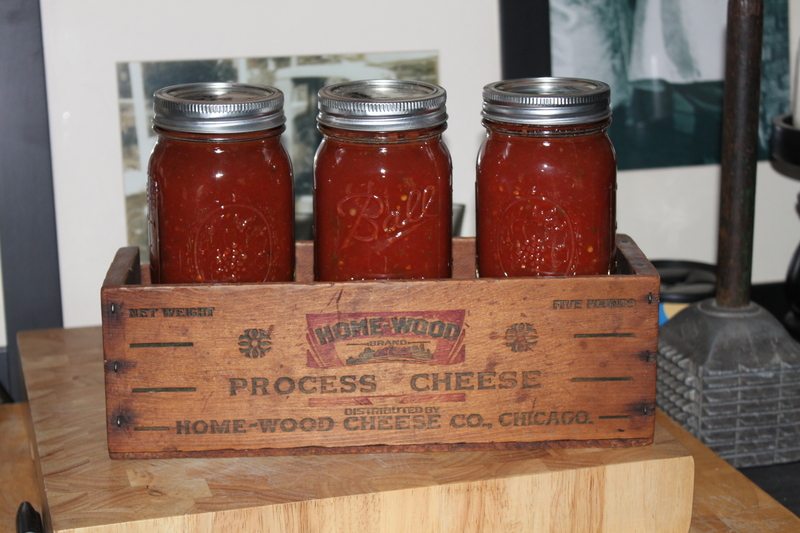 Tomato Juice – We canned 80 quarts last year – which we thought might have been too much , but we are down now to about 12. I think we will do about the same again this year. It’s great for our soups and chili – and we drink quite a bit of it as well. One thing we want to do this year is to can more made with some pepper extract – for a hot and spicy juice. Still good on our inventory of banana and jalapeno hot pepper rings. They are great toppings for pizza and nachos! Roasted Tomato and Peppers : Mary trialed them last year and they turned out great – so I think we will add a few more pints this year. I think we still have enough jalapeno, and banana pepper rings to last us for another year – so this year instead of canning the rings, we will freeze more whole and use them for appetizers. So as the garden approaches ripening time, one thing is for sure: I know we will start to hear that gentle hum of the pressure canner or the roll of boiling water almost every evening in the kitchen as one or both of us cans something….it’s a sound we love to hear!